The trail leads to Outlook and auto completion of addresses. In the cache of sender’s Outlook is stored a old recipient address. When addressing a message, Outlook automatically suggests the address to which was previously sent messages. The easiest solution is to delete an old entry from Outlook suggested contacts. 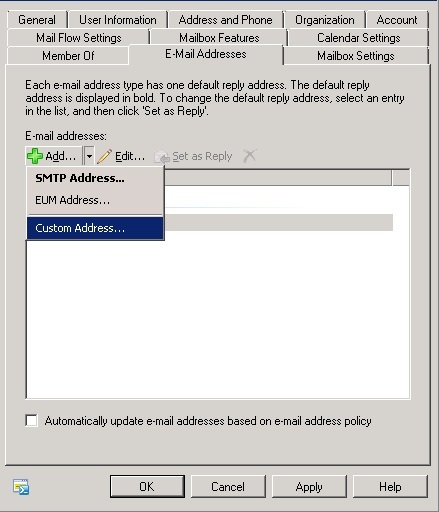 Re-selecting recipient from GAL or manual typing address will save correct LegacyExchangeDN to Outlook cache. And the problem wil be solved. Well, yes but this solution is a bit annoying for users. and, not really works well with a larger number of affected senders. Second option is to add old legacyExchangeDN as a X500 address to the new mailbox. But usually we do not have such information. In this case, we can reconstruct the address from NDR. 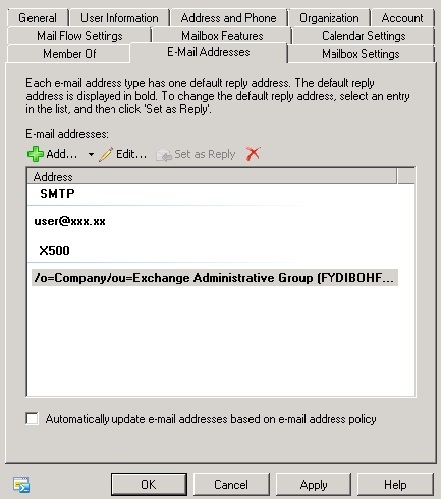 Tagged Exchange NDR, IMCEAEX, legacyExchangeDN, Outlook AutoComplete, X500. Bookmark the permalink.